In this example I've selected all bills. By clicking the Batch Actions drop down you can pay all of the bills at once. Also in this drop-down you can Edit Highlighted Row. The second picture below shows the Bill associated with the highlighted row for Western Telephone Company. 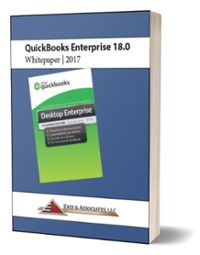 The ability to "drill down" into transactions from multiple views and reports in QuickBooks continues to be one of the strongest features in the software. Another new feature in QuickBooks 2016 is a long and overdue function. It's not uncommon for us to see hundreds of forms to send in the File > Send Forms view. These build over time and very few of us want to clear them one at a time because it's such a laborious task. So this list just builds and builds for years. Well Intuit has finally added the ability to Remove these en masse. Below is the view we now see to accomplish this long overdue task. Thank you Intuit.